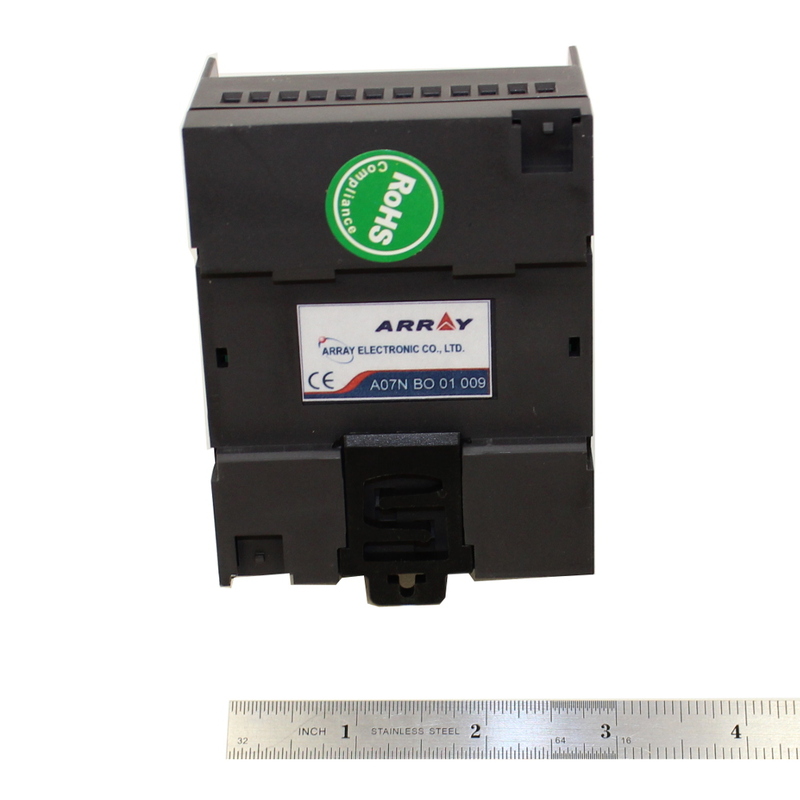 This is an intelligent controller manufactured by ARRAY Electronics Co. 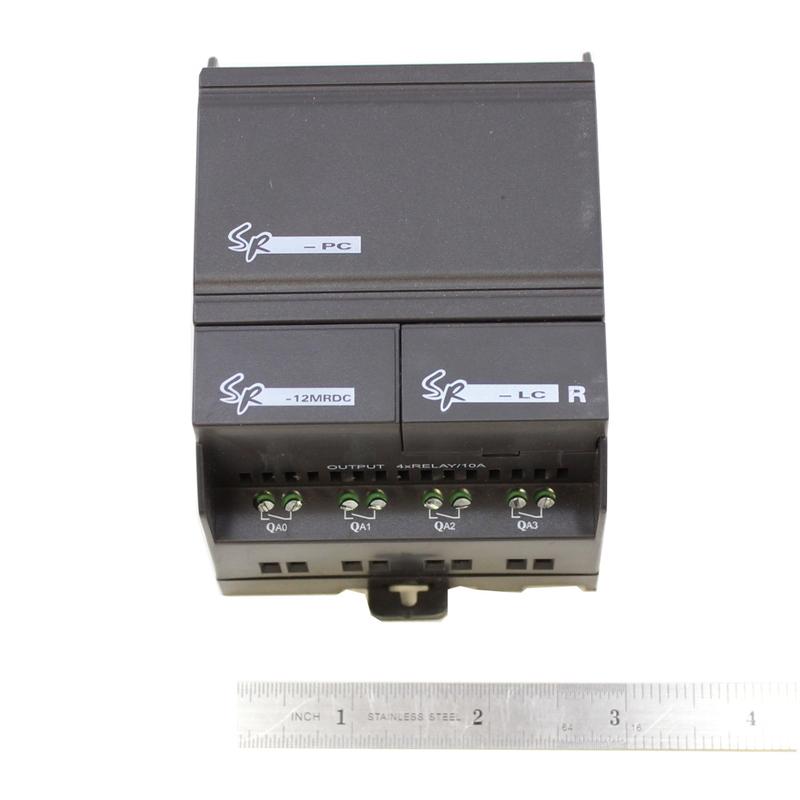 The SR series has many features including being able to operate off line to prove in service performance before being commissioned into servicxe. 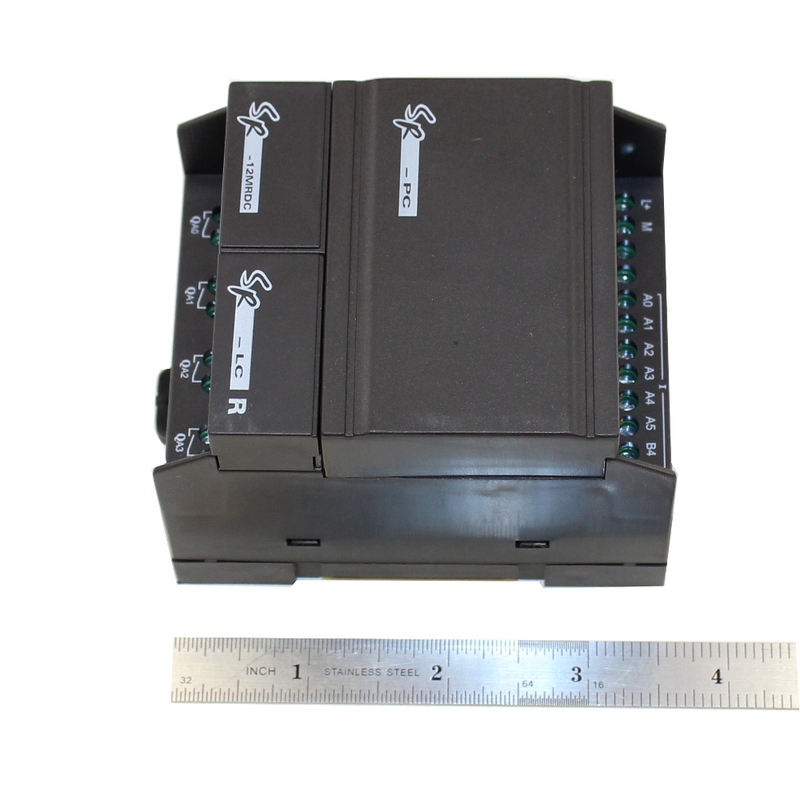 The SR-12MRDC uses function blocks for programming. 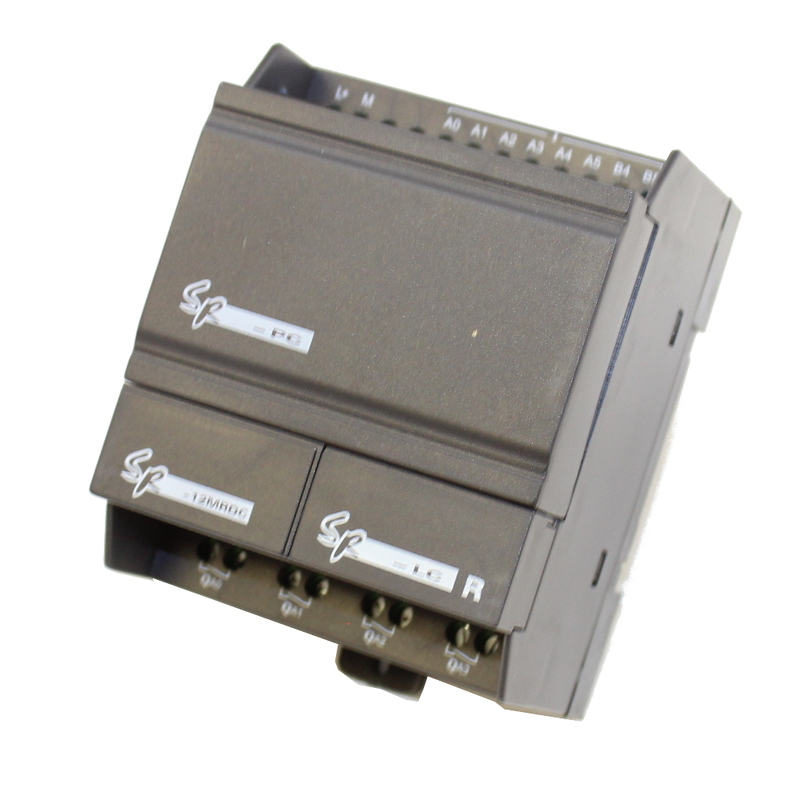 It enables the control functions to be achieved without the need for a large number of instructions and without complicated programming. When several function blocks are linked together in a specific way, relatively complicated control functions can be implemented. The programming can be carried out in a logical, speedy and verifiable manner. Programming can be carried out using a removable liquid crystal display panel or by using a computer.